La Trobe alumna Kerry Brown is co-director of marketing agency Arteria. 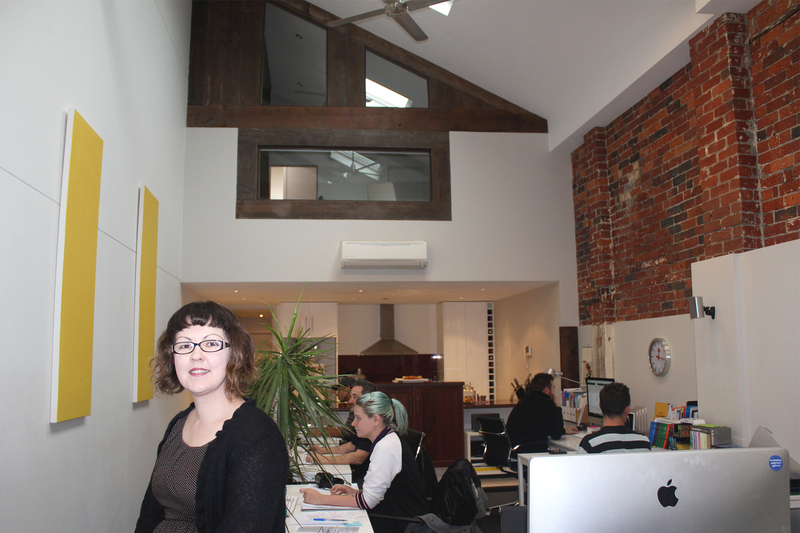 The Bendigo office of Arteria is as cool as they come. Housed in a historic bakery conversion in Acacia Street, the space is all lofty heights and exposed brick walls, pot plants and Apple Macs. Here, six La Trobe alumni work on some of the city’s hippest design projects. Plus, they serve a growing list of Melbourne-based national clients, proving a move to Bendigo was the right thing to do for directors Kerry and Craig Brown. The couple had both studied graphic design at La Trobe in Bendigo in the mid-1990s, then left to establish careers in the city. Kerry’s first full-time job was as the sole designer for a recording studio in Collingwood, working on CD covers and band posters. She then spent several years in a small design agency, and as a contract in-house designer, before moving into advertising in South Melbourne. Craig had been steadily building the Arteria brand from an office in Abbotsford. With the arrival of children came the urge to return to country ties. “It was the classic tree change thing,” Kerry says. “Craig and I were both brought up in the country and we both always liked Bendigo.” When they first made the move, they were commuting to the city for work. “Then we decided we could do the job from here,” Kerry says. 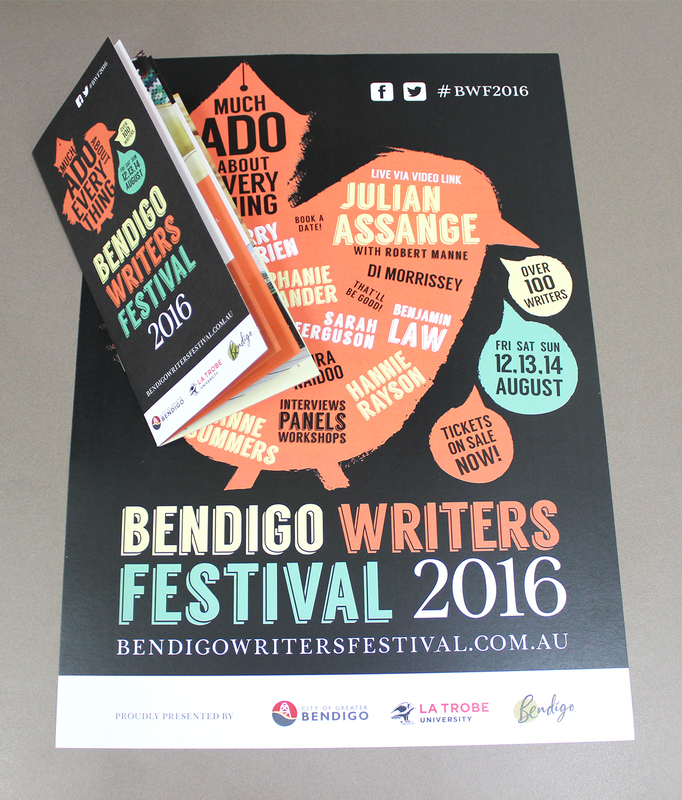 Arteria has done most of the design work for the Bendigo Writers Festival. Their branding for this year’s event was launched last week at The Capital. They were also involved with the roll out of the Ulumbarra Theatre launch promotions. The theatre being another of Bendigo’s beautiful heritage revivals, built in the belly of the historic gaol. 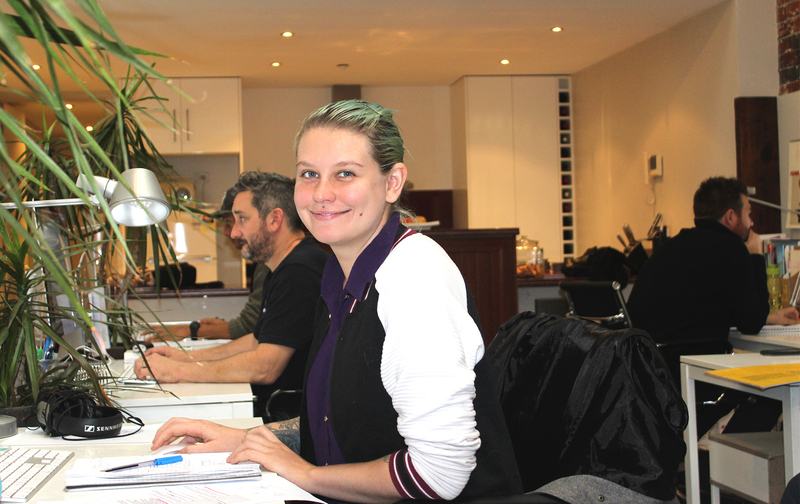 For Arteria, the city has also proved to be a breeding ground for great staff, courtesy of the La Trobe graphic design course. The fact that their four full-time employees all studied here is no coincidence. Alex Hegyesi graduated from the course in 2012. She’s been working at Arteria for almost two years. When we visit, the Cairns expat is holed up by the gas heater on Bendigo’s coldest day of 2016. “I do miss the warmth, but you do get used to it,” she says, adding the local culture is the drawcard for her. She moved to Bendigo after high school specifically to study. But she’s more than happy to stay.